Years ago in Manhattan I could not sleep…so I watched a documentary on the life of Joseph Campbell…and was struck by his advice: FOLLOW YOUR BLISS!!! That single quote helped me to break free of my samsaric chains and to fly to the Himalayas where my inner quest took off…it wasn’t easy, but looking back, wow. Today following my own bliss is not enough….all we learn is of little use is we cannot share it with all those who are willing to learn…and of course this process is mutual. To love our own self is to learn to love others as our self. The Golden Rule. Thank you, Harsh Luthar, for reminding us that this is our REAL work here on Planet Earth! All love and many blessings Mira Prabhu. You are an insightful and gifted yogini and a writer and a human being of much depth. 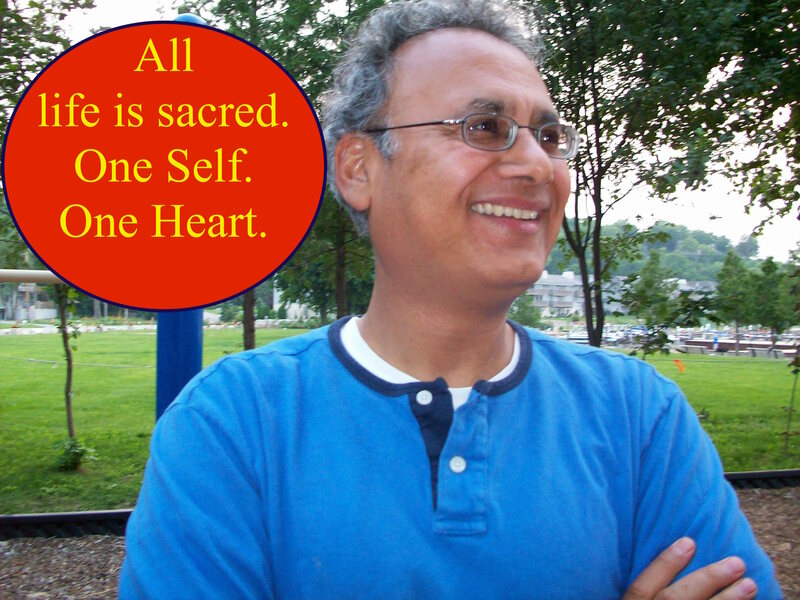 I feel the same way about you, Harsh – kindred spirits, connected by the sacred fire. Om!